I read this article and found it very interesting, thought it might be something for you. 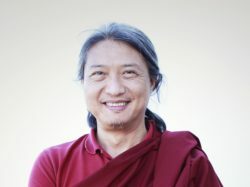 The article is called Winter Retreat 2018 -2019 : RAM – Ripa Awareness Meditation and is located at https://www.ripaladrang.org/event/winter-retreat-2018-2019-with-dungsey-gyetrul-rinpoche-with-dungsey-gyetrul-jigme-rinpoche/. Mindfulness and awareness work together to bring acceptance of living situations as they are. Life is not regarded as source of rejection or indulgence, but rather as the food of awareness and mindfulness; the depression and excitement that go on in life become the very object of meditation! 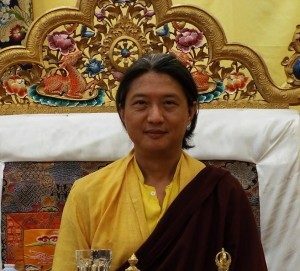 During this end-of-year retreat Rinpoche will unfold and guide participants through the key elements that help us in this process. Gathered under the Ripa Awareness Meditation method, they bring in Shamata’s Buddhist tools – a millennial breathing technique that helps develop mental calm – and introduces aspects of Vipassana meditation, or penetrating vision, that help us develop “ways of looking” that free the mind from conceptual fabrication.